What would happen if Frank Sinatra and Michael Bublé shared the same stage? A great night of entertainment to be sure! 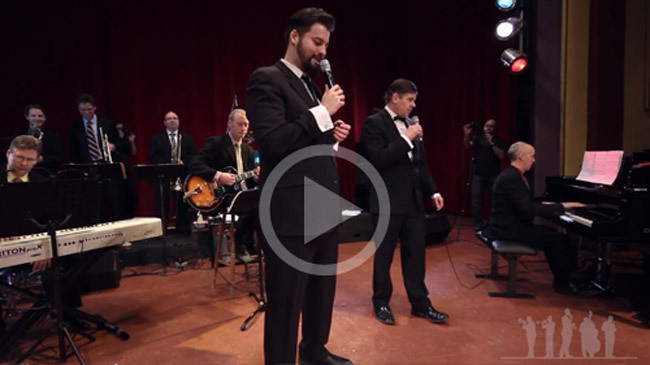 Dean Hollin and Paul Schwarz join forces as Sinatra and Bublé to give an unforgettable performance as the “Chairman of the Board” meets the new singing sensation from Canada. Enjoy the songs of yesterday and today as the fabulous Hollywood 8 piece band provides the perfect musical backdrop for these two marvelous entertainers.